3 weeks after my last channel adventure I decided to do another one! There is a story behind why I ended up doing it again because it wasn’t planned to be so close to my last one. I already had plans to do another relay in future and eventually a solo but not for a couple of years. On Friday 7th July while I was helping Wendy at one of her Pool to Pond sessions, she showed me an email saying that a youth team from a club called Street and District Swimming Club from Somerset, had a last minute injured swimmer and needed a quick replacement for a tide the week after. Even though I hadn’t done very much swimming since my last channel relay, we quickly replied letting them know I was interested. 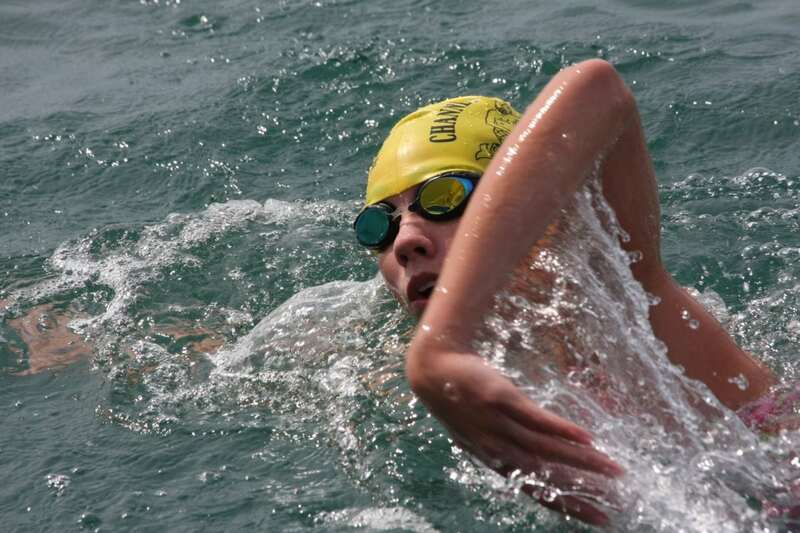 I did have high hopes that I’d get to do another one because what other 15-year-old would be ready to swim the channel with a medical and qualifier done? The Channel Swimming Association secretary forwarded my details to their team captain Kat, and I eagerly awaited a reply. The next morning, I got a phone call from Kat saying that they would be happy to have me on the team. Throughout the day I recieved many phone calls from thankful parents because due to the teams collective age, they had to have 6 swimmers. I was excited and nervous, I was going to be swimming with a group of swimmers who I’d never met before but everything had gone so quick, I had no time to worry. On Wednesday night, me and Dad travelled down to Dover from Sheffield, even though the swim hasn’t been confirmed yet. The rest of the team were staying at the Premier Inn on the sea front looking out into the Channel. When we arrived, most of them were already asleep, but I got to meet Kat and one of the swimmers, Bobby. We still didn’t know whether the swim was on but Kat was going to phone Eric Hartley, the captain of our boat, Pathfinder, to confirm whether the swim would be at 1:00am or at 9:30am. The swim had been on and off for a few days due to the weather and tide. At 12:30am we got a phone call saying the swim would be on and we’d need to be at Dover Marina at 1:00am. Slowly swimmers started to arrive and I got to meet the people I’d be spending 15 hours on a boat with. After waving goodbye to the parents on the side, including my own, we set off to Samphire Hoe, which is one of the beaches CSA pilots regularly use. There were 5 boats out on the water today including Louise Jane, who we ended up racing to the finish. 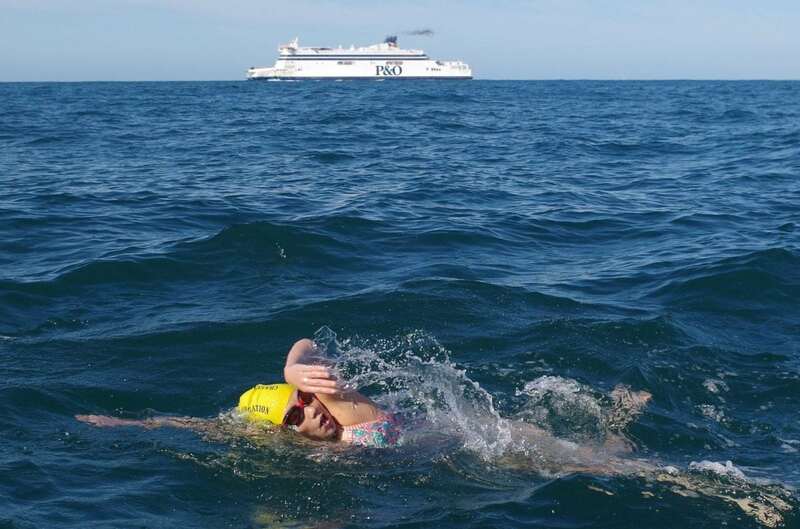 Sophie, who is 17-year-old and the oldest member of the youth team, was first in the water, the spotlight followed her throughout her hour and she completed a strong swim in the dark. Already she could see the Jellyfish but thankfully wasn’t stung (yet). 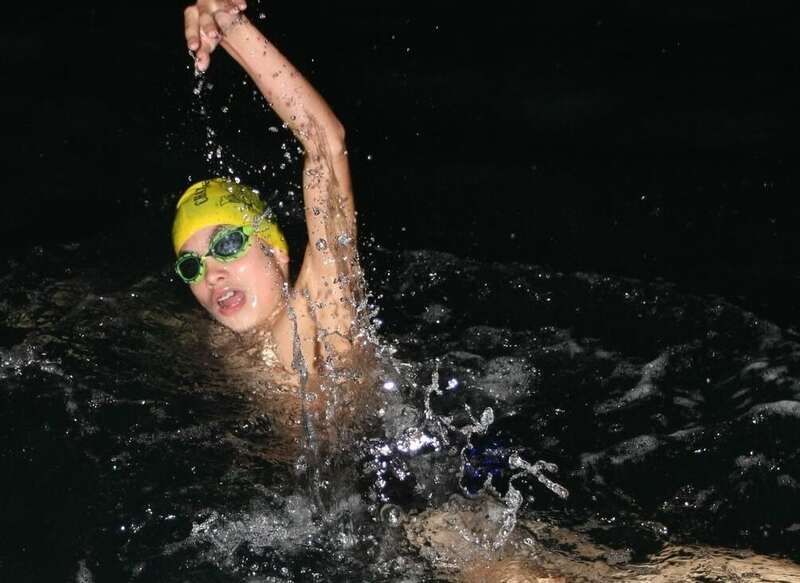 When you swim in the dark you must have a flashing light on your goggles and a glow stick attached to your costume or trunks. 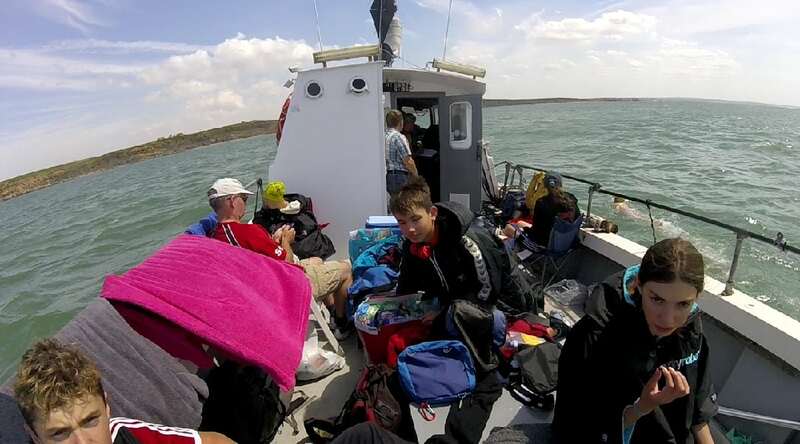 Next up was Bobby who is 15, he swam in the dark too, unlike everyone else who stayed very close to the boat, he swam a lot further out, many of us wondered if he wanted to swim next to a different boat! He was stung on the arm by a jellyfish and like Sophie could see them very clearly. Matt (whose birthday was the day before the swim, just turned 15) he got to swim just as the sun broke. We could now see France clearer and we were making good time. 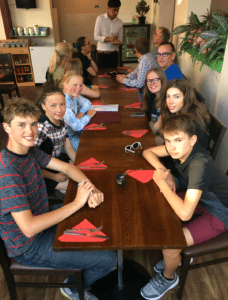 14-year-old Katie was up next and after already struggling with sea sickness on the boat, she powered on in the sea, despite being sick in the water and she was also stung by jellyfish during her stint. At hour 5, I got in as the old hand and swam through the last of the northern shipping lane, I’d been stung quite a few times too, even on my face! I was getting more comfortable with everyone and we were all getting on great. 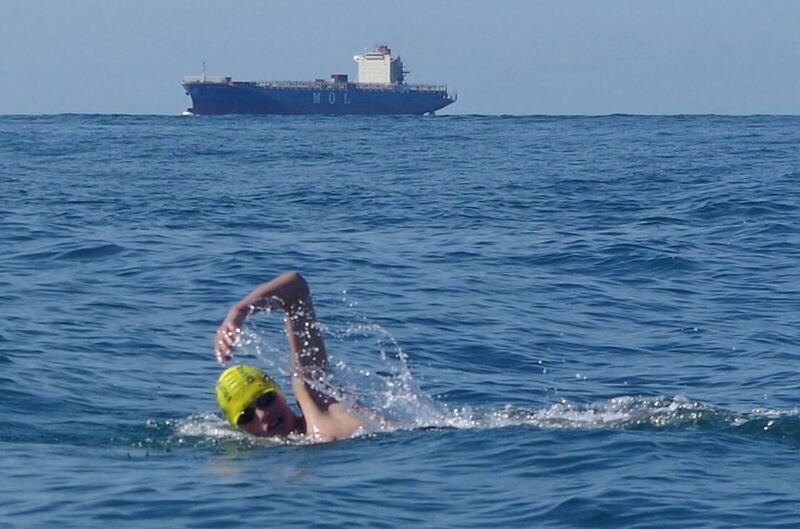 The last swimmer in the first rotation was Jess who is also 14, like me she swam through swarms of jellyfish and as we approached the middle of the Channel there were only more to come. In the second rotation, Sophie was stung lots of times and Bobby was stung too. Amazingly Matt wasn’t stung at all, even though we were still in deep water. Unlike her first swim, it was flat and calm and there were very few jellyfish, Katie smashed her swim and got out with a big smile on her face. Like the other Channel swim, the resident seal popped up to say hello about 200m away from our boat. I then did my swim but I was too far out to touch France so Jess got in, determined to land within her hour. The current had us and it was a race against the waves whether Jess would land or Sophie would have to do her third swim into shore. After a hard-final push, Jess reached France in 11 hours and 56 minutes and Team Ichthyosaurs completed their channel relay. 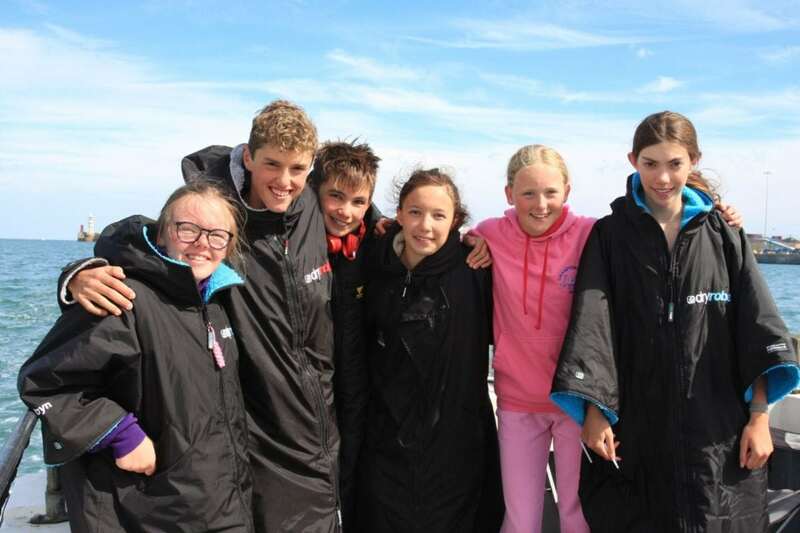 I’d only met these 5 swimmers 12 hours ago but I made some very good swimming friends, who for once are my own age!